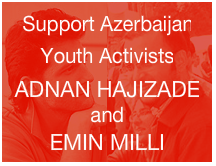 On 8 July, 2009, Emin Milli, co-founder of the Alumni Network grassroots youth movement and Adnan Hajizada, a video-blogger and co-founder of the the OL! Youth Movement, were seriously beaten by unidentified persons while dining with a group of other civil society and youth activists in a downtown Baku restaurant. After reporting the incident to police, the two activists were instead detained for 48 hours. However, despite international outcry, the two activists were placed in pre-trial detention while a criminal case was opened against both. On 21 November, a petition of appeal against the verdict was submitted by the two men's lawyer. Amnesty International declared both men to be prisoners of conscience. Milli was closely involved with Hajizada as a prominent member of civil society and very well known among youth activists for his Youtube videos. He was also the main force behind establishing alternative online networks and mediums for youth in Azerbaijan to connect and communicate, including AN TV. 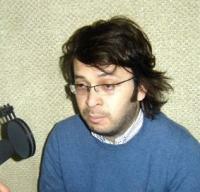 On 19 November, a day after the surprise conditional release of Hajizada, Emin Milli was freed.